I recently completed a four-month work internship at Vartan Aviation in Hamburg, Germany, after I finished my last year at TSiBA in 2017. The opportunity came about when TSiBA negotiated a work internship abroad for one student to work at Vartan Aviation. This had not been in my original career plan as I had no passport, nor funds for the application fee! It sounded like something I really wanted to do so I jumped at the chance and scraped together enough to apply and just a few weeks later I got a skype interview and then the email to say that I was selected to head off to Hamburg! I had to make a lot of sacrifices to save enough of my intern salary to pay for my visa, which I did. My internship was essentially split into two parts, the first month or so was spent at On Site Support at the Airbus facility in Finkenwerder, Hamburg. Every day I would work with a different engineer, mechanic or staff member as we worked on a number of different repairs, on a variety of different aircraft. I got to see the essence of what the Vartan Aviation Group really does, which is to provide support for its clients such as Airbus, Boeing, and Bombardier, which helped me to understand what I was expected to do during the next phase of my internship. The final two months of my internship were spent working in the quality control department at Vartan. My team and I were firstly preparing for the subsequent audit, and after the audit was completed, we put the various recommendations of said auditors into action. My duties ranged from drawing up compliance reports and setting up and designing training manuals, to drawing up new employee profiles and completing quality standards reports and research. The experience was amazing; however, I experienced quite the culture shock initially when I arrived. Now, my worldview was expanded significantly which is something I’ve always wanted. One of the things that was quite an adjustment was how quickly things happen overseas – everything happens at a frightening pace enabled by the infrastructure and level of development. It was evident in almost everything – from the insane due dates to the to the frequency of the trains, buses, trams etc. The toughest part for me was obviously the language barrier which hindered me quite a bit in the beginning, but by the end of the trip, I had learned enough German to navigate around quite comfortably and greet ‘hoin’! Hamburg itself is such a beautiful place. I was lucky enough to be there long enough to be able to explore most of the city. 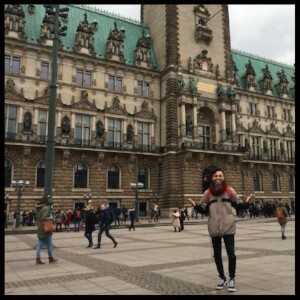 From hopping on a ferry across the Elbe to the hustle and bustle of the wealthy Jungfernstieg shopping district on Saturday mornings to the insanity that is the Reeperbahn or St. Pauli party district in the evenings. Hamburg made sure I never had a dull moment. I experienced a number of amazing sights such as the Elbphilharmonie, Mahnmal St Nikolai, Hamburg Dom (theme park) and many, many more. On one of my long weekends, I even managed to make my way to Berlin and visit the Berlin Zoo, Berlin wall, and the Berlin Victory Tower! The thing I missed most about South Africa while I was away had to be mostly the people in my life like my family and my friends. Other than that I had adjusted and immersed myself completely in the experience and the people because it had been something I had wanted to do for the longest time. 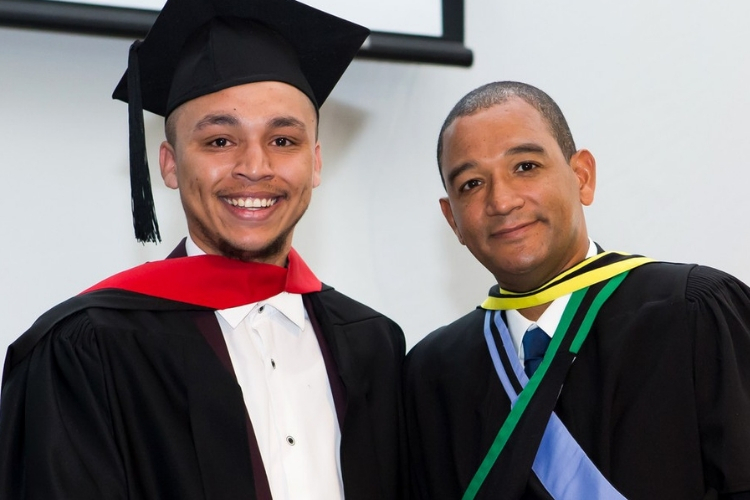 Things continue to move fast – the day after I got back to South Africa I was in a job interview and by the next week I was at work employed by Prescient Fund Services (where I completed my student work internship last year) in the Unit trust Manco team. My plan is to complete my honours in the next two years, with the end goal of becoming an investment analyst. My advice to students who are looking for international experience would be to build as big a network as possible, you never know where your next opportunity will come from. When it does come your way, APPLY! No matter how unrealistic the odds may seem. Looking back, I want to mention to my fellow TSiBA graduate alumni, or students, that we should never be afraid to embrace the fact that we are different with a specialised education – we are uniquely positioned to see things from a different perspective to others. I feel, at times, we tend to underestimate ourselves, but employers actually want someone who brings something different to the table, someone who can help put them ahead – that’s you (and me)! This same mindset can also be used to make you become an amazing entrepreneur, this unique study opportunity has provided us with a world of infinite possibilities, let’s not waste that 😊.